Dry body brushing is not a new technique, but that doesn’t make if any less worth while. This simple and quick ritual can be done daily and has incredible benefits for your skin. So why is this our current obsession? We’ve recently taken up the practice again to target a particularly troublesome skin concern. There’s nothing quite like revealing summer shorts, skirts and dresses to motivate one to tackle every woman’s bane – cellulite. Yes – that’s right. Dry brushing cellulite can improve its appearance. It is not a miracle cure – there is no cure – but it is a cost effective and easy at-home treatment to break up the toxins that form cellulite. A natural bristle brush is applied to the skin in fluid strokes and circular motions moving over the skin in the direction of the body’s lymph flow. What does dry body brushing do? Dry body brushing helps to move stagnant lymph to the lymph nodes where toxins and metabolic waste can be purified. The lymphatic system is one of the most important organs of elimination, but it does not have the benefit of a pump like the heart to move it and therefore, it relies on muscle movement and manual techniques like lymphatic drainage for its circulation. 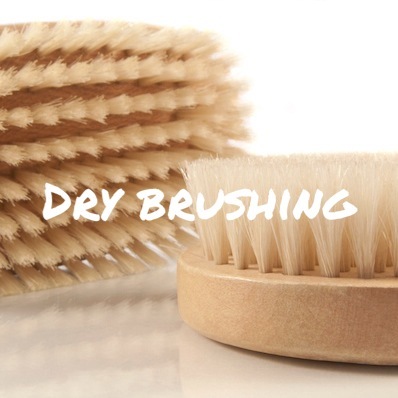 How does dry brushing benefit the skin? There are other health claims that you can find with a quick internet search, but for us, these are the most common sense direct benefits that you will see for your skin with daily dry brushing. What is the proper dry brush technique? 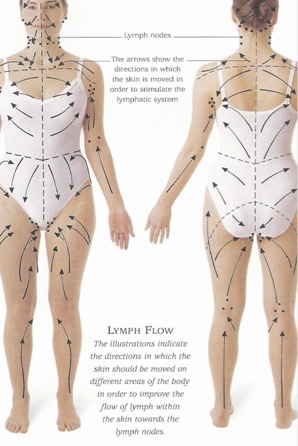 You’ll want to work with the direction of the lymph flow. This diagram gives you an overview of the direction to follow for the strokes with the dry brush. It shouldn’t take more than 5 minutes. First thing in the morning before you shower is the perfect time to do dry brushing as it invigorates your body for the day ahead. We also love doing it before bed to relieve tired legs or water retention during PMS. So if you’ve been wondering how to reduce cellulite without expensive and questionably effective gadgets and creams – dry brushing may be the answer you’ve been looking for. You can find dry body brushes at your whole foods store – like Choices Market here in Yaletown. Prices range from $13.99 to $49.99. Look for brushes that are made with natural fibre bristles. The unsung skin heros of 2014.